To claim this profile, please confirm you are Brigid Burke. To follow this profile, please let us know your relationship to Brigid Burke. Girls varsity lacrosse vs. Buffalo Seminary. The Mount Mercy Academy varsity lacrosse team lost Wednesday's home conference game against Sacred Heart Academy (Buffalo, NY) in a sudden victory after a score of 22-3. 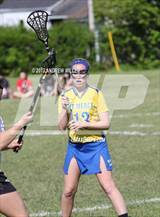 Brigid's lacrosse stats have been updated for the loss @ Buffalo Seminary. RESULTLoss Girls varsity lacrosse @ Buffalo Seminary. The Mount Mercy Academy varsity lacrosse team lost Saturday's away conference game against Buffalo Seminary (Buffalo, NY) by a score of 13-7. 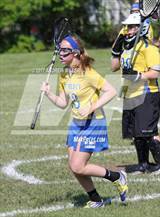 Brigid's lacrosse stats have been updated for the noresult @ Nardin Academy. Girls varsity lacrosse @ Nardin Academy. RESULTLoss Girls varsity lacrosse vs. MSMA. The Mount Mercy Academy varsity lacrosse team lost Monday's home conference game against Mount St. Mary Academy (Kenmore, NY) by a score of 20-3. RESULTLoss Girls varsity lacrosse vs. Mt. St. Mary Academy. The Mount Mercy Academy varsity lacrosse team lost Monday's home conference game against Mt. St. Mary Academy (Buffalo, NY) by a score of 20-3. Brigid's lacrosse stats have been updated for the loss vs. St. Mary's. The Mount Mercy Academy varsity lacrosse team lost Saturday's home conference game against St. Mary's (Lancaster, NY) by a score of 13-12. Brigid has been added to the Mount Mercy Academy girls lacrosse roster. 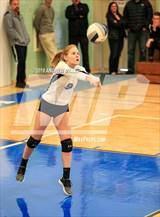 Brigid had 4 photos tagged from the photo gallery "Mount Mercey Academy @ Mount St. Mary Academy (MMAA Quarterfinal)." RESULTLoss Girls varsity volleyball @ MSMA. 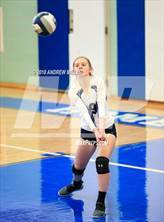 The Mount Mercy Academy varsity volleyball team lost Thursday's away playoff match against Mount St. Mary Academy (Kenmore, NY) by a score of 3-0. Brigid's volleyball stats have been updated for the loss vs. Griffith Institute. RESULTLoss Girls varsity volleyball vs. Griffith Institute. The Mount Mercy Academy varsity volleyball team lost Monday's home non-conference match against Griffith Institute (Springville, NY) by a score of 3-0. 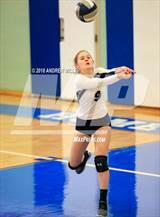 Brigid's volleyball stats have been updated for the loss @ Nardin Academy. RESULTLoss Girls varsity volleyball @ Nardin Academy. The Mount Mercy Academy varsity volleyball team lost Friday's away conference match against Nardin Academy (Buffalo, NY) by a score of 3-0. Brigid's volleyball stats have been updated for the loss @ Olmsted. RESULTLoss Girls varsity volleyball @ Olmsted. 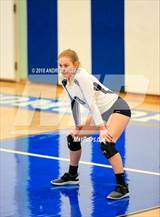 The Mount Mercy Academy varsity volleyball team lost Wednesday's away non-conference match against Olmsted (Buffalo, NY) by a score of 3-1.